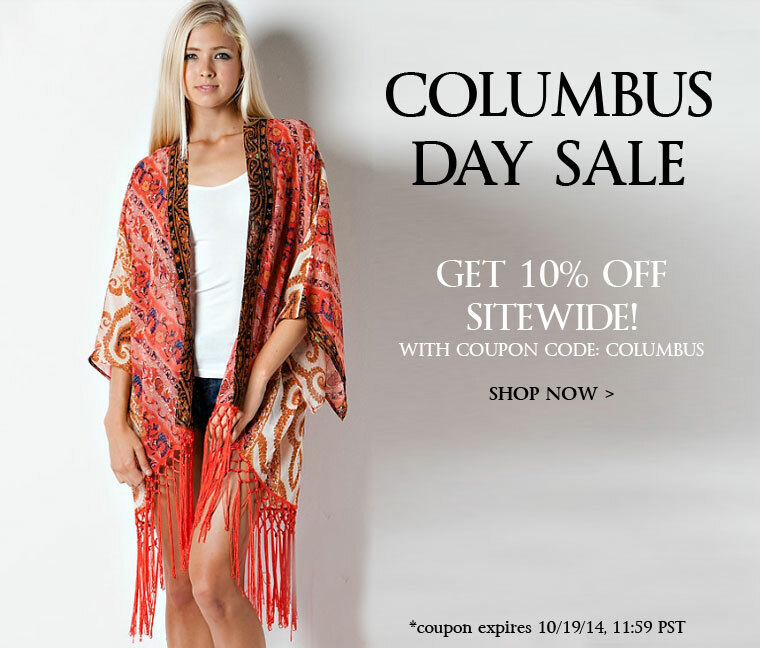 Site-wide Columbus Day Sale: Get 10% off with coupon code: COLUMBUS. Special shipping promo: $7 flat rate shipping on orders over $75. *Site-wide Columbus Day Sale: Get 10% off entire site with coupon code: "COLUMBUS". Coupon expires 10/19/14, 11:59 PST. Not valid on previous purchases.